A quick round-up of news relating to a handful of viewers and clients. @standtp is applied to the avatar. The avatar hitches to (sits on) a cart. The avatar pulls the cart from location A to location B. The avatar is unhitched from the cart (stands up). At that point @standtp teleports them back to location A.
MetaChat the iOS client is having problems courtesy of Apple. The app was removed from the iStore on August 9th, as part of a purge by Apple on “gambling apps”. Enquiries have been lodged with Apple on when / if the app will be allowed to re-list, but thus far, no response has been given. In the meantime, versions already downloaded / downloaded and installed will still work, this move by Apple only affects the client’s listing on the iStore. iOS / MetChat users can read more on the MetaChat blog, where updates will also be posted. A reminder to Firestorm users, Firestorm 5.0.1.52150 (released December, 2016) will be blocked from Tuesday, August 14th, in keeping with the Firestorm team’s policy of only allowing the current, and the two version immediately prior to it. This means that if you are still used Firestorm 5.0.1, you need to update to a more recent version: 5.0.7, 5.011 or the current 5.1.7 release. To find out more about why Firestorm versions are blocked, please read this blog post from the Firestorm team. On Wednesday, January 24th, 2018, the Firestorm team released Firestorm 5.0.11.53634. This is a significant update to the viewer, incorporating code updates from a number of recent viewer releases from Linden Lab, as well as some major updates from the Firestorm team and a number of important new features and updates, as well as a range of bugs fixes and improvements. Given the extent of the updates in this release, and in keeping with my usual approach to Firestorm releases, what follows is not an in-depth review of everything new / updated in version 5.0.11.53579, but rather an overview, highlighting some of the more significant changes and updates I feel will be of most interest to users. For full details of all changes, and all due credits to contributors, etc., please refer to the official release notes. Do, however, make sure you back-up all your settings safely so you can restore them after installing 5.0.11. Firestorm 5.0.11 brings the viewer up to parity with the Lab’s 5.0.9 code base. It includes the following major updates from the Lab. 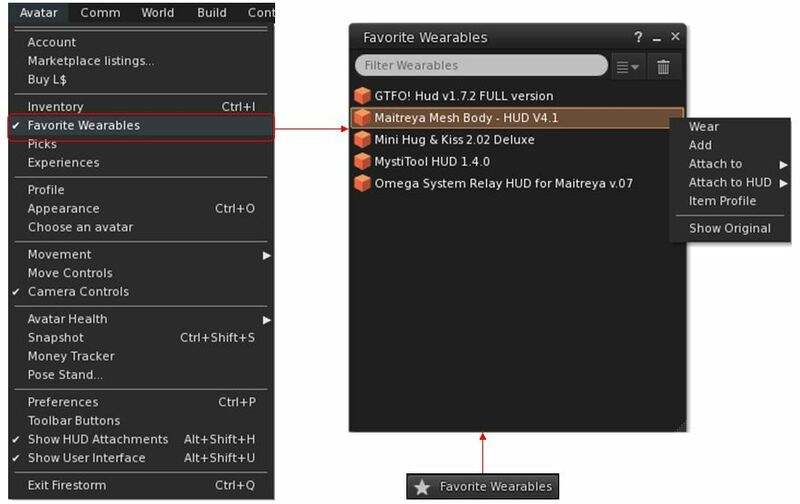 Asset-HTTP Project: Firestorm now fetches the majority of inventory assets (landmarks, wearables – system layer clothing and body parts), sounds, gestures and animations) the same way as textures, mesh and avatar baking information: via the Content Delivery Network (CDN), rather than through the simulator. This should make loading of such content both faster and more reliable. 64-bit Havok sub-libraries: the 64-bit version of Firestorm now uses Havok physics with the mesh uploader , and can now visualise the pathfinding navmesh. Group ability Always Allow ‘Create Landmark’: this was accidentally removed from the viewer, and has now been returned. When enabled on a group role, it allows members of that role to override the teleport routing (e.g. 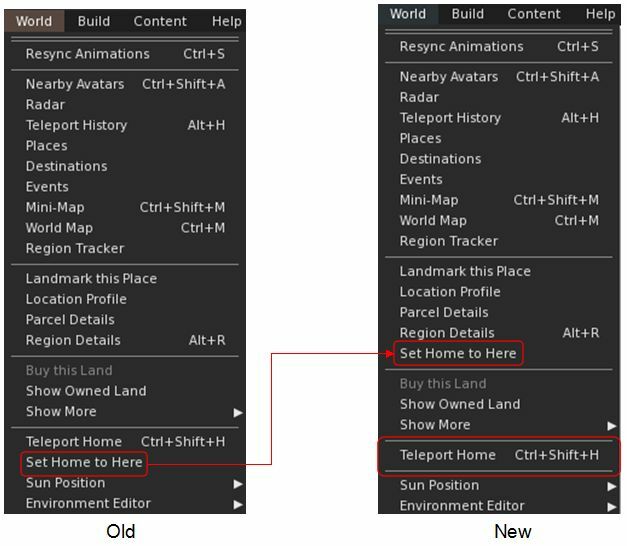 right-click >teleport to) on the parcel if a landing point is set, as long as Direct Teleport is enabled on the region (BUG-100719). Incorporation of the Martini (November 2017), Moonshine (September 2017) and Margarita (August 2017) viewer updates. Note: while Firestorm 5.0.11.53634 includes the 64-bit Havok sub-libraries for Second Life, it is not using Linden Lab’s Alex Ivy 64-bit code base. That will be for the next FS release. Key among the updates to this release of Firestorm are new features and updates to a number of floaters intended to help users make better judgement calls on how content in Second Life might be affecting their viewer performance, and potentially make more informed choices about the goods they purchase in-world. Firestorm now includes an option to viewing the physics shape of objects you can edit. Among other things, this can help avoid having items you drag from inventory fail to appear in-world, with the message “Failed to place object at specified location. Please try again.” appearing in the top right corner of the viewer window. 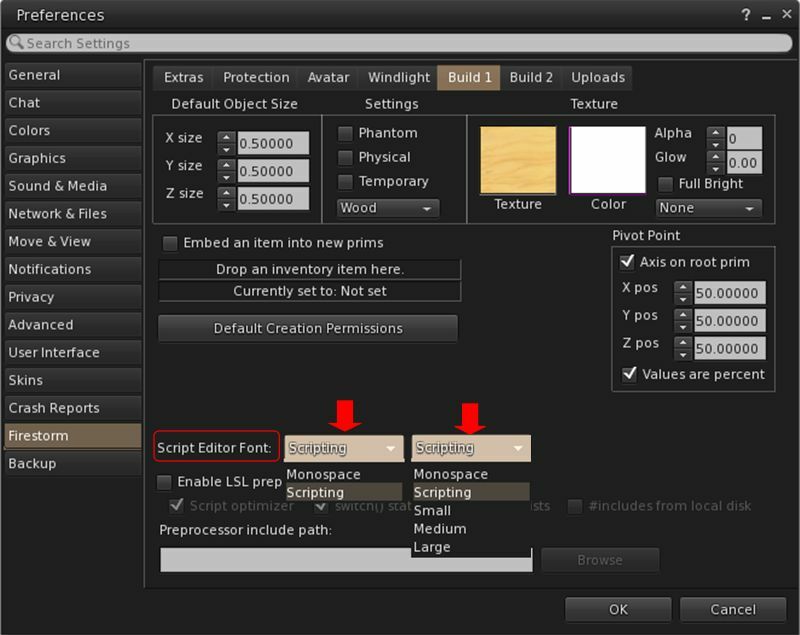 The option is on the Features tab of the Build floater, and takes the form of an eye icon to the right of the Physics Shape drop-down. If shown without a red line through it: show physics shape is enabled. When enabled, the selected object’s physical shape is shown in blue. Sometimes this will match the shape of the object itself (below left); other times, it may not (below right). Any attempt to rez another item on the part of the object covered by the blue will succeed; any attempt to rez on the part of an object not covered by the blue will likely result in the “Failure to place object” message. Showing the physics shape of surfaces reveals why some may be walkable and why avatars may have problems with others – such as colliding with “something” while apparently not standing close to an object, or being unable to pass through a gap or open doorway. Show Physics Shape can also be accessed via the Build Menu > Options > Show Physics Shape When Editing. Once enabled, Show Physics Shape remains active until manually disabled, or until you log-out of Second Life (it will be automatically disabled on your next log-in). Coming to Firestorm soon… A couple of new features for builders and non-builders alike – Beq Janus. Blue sky thinking – Physics view explained – Beq Janus. The Build floater also provides a range of new information specific to mesh objects and their level of detail (LOD). This can be seen on the Object tab of the floater when a mesh object is selected. For prim objects, the tab is unchanged and will display the “old” information (Path Cut, Hollow, Twist, Taper, etc.). For a detailed examination of LOD please refer to For LOD’s sake stop! by Beq Janus. The following is intended to provide a brief overview of the mesh object information. Mesh objects can comprise up to four different versions, as defined by the creator a very High detailed model, with a high count of triangles, displayed with the object is being viewed up close, and then up to three models with progressively less detail (fewer triangles), designed to be used the further away the camera is from the object (Medium, Low and Lowest). These are collectively referred to as level of detail models, and are designed to improve the rendering of scenes. In essence, the further away (or smaller) and object is, the less detail can be seen and so the less detailed versions can be under when rendering it, easing the overall rendering load. Default Drop-down: allows you to preview each of the different LOD models for the object (make sure Default is selected after use). 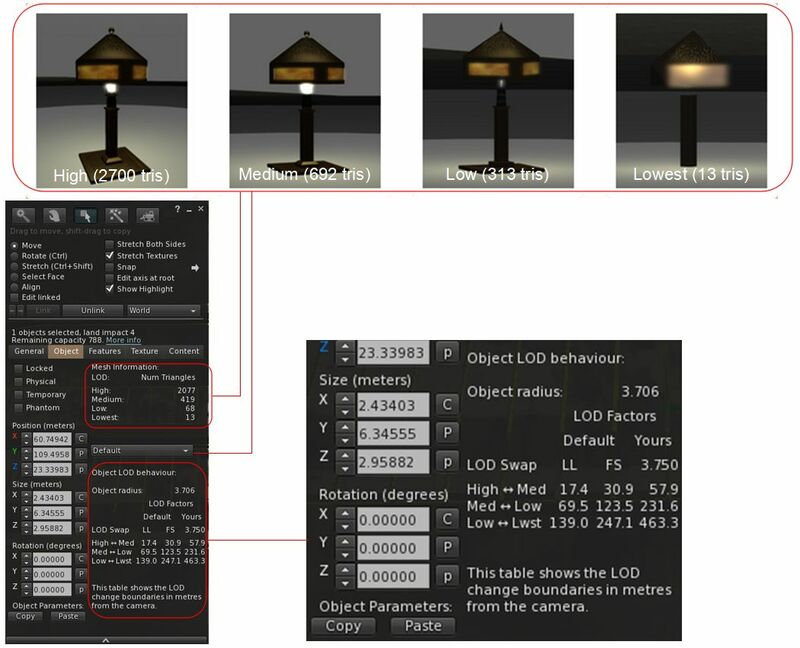 The Object LOD behaviour section defines the distances from your camera at which the different LOD model will be swapped one for the next, as defined by the Linden Lab (LL) default LOD Factor (1.250), the Firestorm (FS) default LOD Factor (2.000) and your current LOD factor setting. On Tuesday, June 20th, the Firestorm team released Firestorm 5.0.7.52912. This is something of a maintenance update than a major feature release, covering as it does the more recent updates from Linden Lab – the improved region and parcel access controls, updated Trash behaviour to try to help control risks of inventory loss, custom folders for uploads, the avatar complexity updates, and a host of smaller fixes and tweaks. Most of these have been adopted directly from the Lab’s code, others – such as the avatar complexity updates – have been folded-in to existing capabilities in Firestorm. There are also numerous updates and improvements from the Firestorm team as well. In keeping with my usual approach to Firestorm releases, what follows is not an in-depth review of everything new / updated in version 5.0.7.52912, but rather an overview, highlighting some of the more significant / interesting changes, updates and fixes, which I feel will be of most interest to users. For details of all changes, and all due credits to contributors, etc., please refer to the official release notes. Do, however, make sure you back-up all your settings safely so you can restore them after installing 5.0.7. Firestorm 5.0.7 brings the viewer up to parity with the Lab’s 5.0.5 code base. So, as noted, this release supports the updated region and parcel access controls, the latest avatar rendering updates, custom upload folders, etc.. The updated region / parcel access controls, introduced by Linden Lab in May 2017 mean that when a region holder / manager explicitly sets a region for open access to visitors (via the Region / Estate floater), parcel holders on the region can no longer override the setting at the parcel level and create ban lines around their parcel (although they can still use the parcel ban list and scripted security systems if they wish and subject to any covenant). 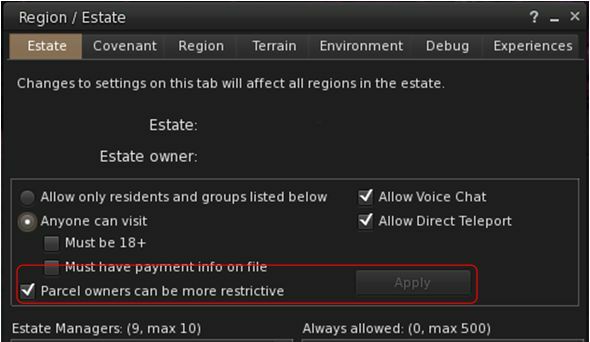 These updates mean that both the Estate tab in the Region / Estate floater has been updated, and the behaviour of the Access tab in the About Land floater has changed. 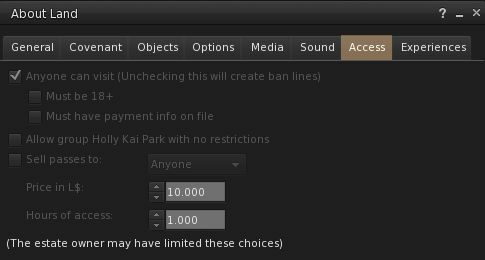 In the case of the Estate tab in the Region / Estate floater, the check box Allow Public Access has been removed, and a new option, Parcel Owners Can Be More Restrictive, has been added (see below). By default, Parcel Owners Can Be More Restrictive is checked, which means that parcel owners should see no difference in behaviour for their parcels unless an estate holder / manager opts to make changes at the estate level. To set the change, the region holder / manager must then clear the warning (OK) and click the Apply button on the Region / Estate floater – failure to do so will leave the option unchanged. If a region which previously allowed parcel holders to set their own access restrictions is set to public access (by unchecking Parcel Owners Can Be More Restrictive and clicking APPLY), and then is reverted again (by checking Parcel Owners Can Be More Restrictive and clicking APPLY), all parcels on the region will revert to the access settings applied to them before any changes to region access were made at the estate level. The prompt displayed when you have over 5K items in Trash is amended to show the trash folder when you’re ready to purge it, and before you can purge it. Backspace will now only delete on Mac systems (as it’s the only option available), it will no longer delete on windows. The purging Trash notification now gives a count of items in Trash. The “Are you sure you want to delete this thing” warning will be seen at least once per session. Note: Firestorm have included a debug setting to disable the trash purging warning – FSDontNagWhenPurging. This is set to FALSE by default (the warning will be displayed). It is recommended you do not change this setting unless you have complete confidence that you are unlikely to accidentally purge wanted items from trash / you viewer is unlikely to incorrectly move folders to your Trash. Further to my recent report, the Firestorm mirror download sites are now available, and Firestorm’s primary server has been stabilised. With the assistance of Linden Lab, through the work of Second Life Technical Director Oz Linden and his team, one of these sites is hosted via Linden Lab, the other is a service established by the Firestorm team. All links are provided below. She continued, “Yesterday we found ourselves in a real crunch with this Bento release due to demand, and staff at Linden Lab really stepped up to help us out. They very quickly offered to set-up a mirror host, and provide downloads on their server. Even the Grid Status page was updated to point to the links! “We thought the demand for this Firestorm update was unprecedented, but Linden jumping to help out a third-party viewer in this big of a way has absolutely been more so. If this doesn’t demonstrate to everyone just how dedicated Linden Lab is to its customers, then perhaps nothing will. With the provisioning of the mirror sites and with the main Firestorm server now stabilised, hopefully the worst of the crisis is over, and Firestorm users will be able to access the new release through either the main download link, or through the mirror site links, given below. However, Jessica and the team still ask that people not all rush at once and tempt fate! I’d also like to add my thanks to Oz, Grumpity and the team at the Lab for stepping in and providing this support. Please ensure you download Firestorm 5.0.1 only from the Firestorm main download page, or via the links given below. No guarantee of security can be made if using any other download location when obtaining the viewer. Update, 11:23 SLT, Wednesday, December 14th: The mirror sites are now available – the links are available here. On Tuesday, December 13th, Firestorm released the much-anticipated Bento update, Firestorm 5.0.1 – which you can read about here. HOWEVER, such has been the demand for the update, the Firestorm servers have been overloaded, a situation which has left Firestorm without the ability to provide their download and web services. Because of the demand is preventing people from even accessing the Firestorm web services – the blog, JIRA, etc., – the Firestorm team is asking that people hold-off if they cannot obtain a download or access the Firestorm website, and not to keep repeatedly trying. In the meantime, and in an attempt to alleviate the lack of downloads, some people have placed the Firestorm 5.0.1 installers on cloud servers, dropboxes, and other network file sources. While the effort to help meet the download demand is appreciated, the Firestorm team ask that people do not do this, but to wait until Firestorm’s own mirrors are up and running. “With the best will in the world, not all networked download sites are secure, and there is a chance that by going to some, users could inadvertently expose themselves to the risk of viruses or Trojans,” Jessica said. “At the end of the day, we can only guarantee our download service and its mirrors are secure, and we’d prefer that people wait a little while, rather than expose themselves to any such risk.